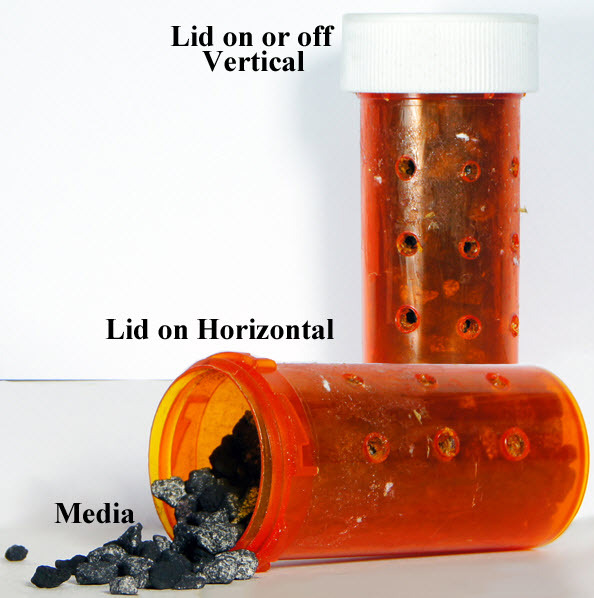 Use a pill bottle to hold chemical media in your aquarium filter! Get a pill bottle that fits well inside your filter housing. Drill holes around the sides of the bottle. Fill the bottle with chemical media, then stick it in your filter.